Tin with clear window top. 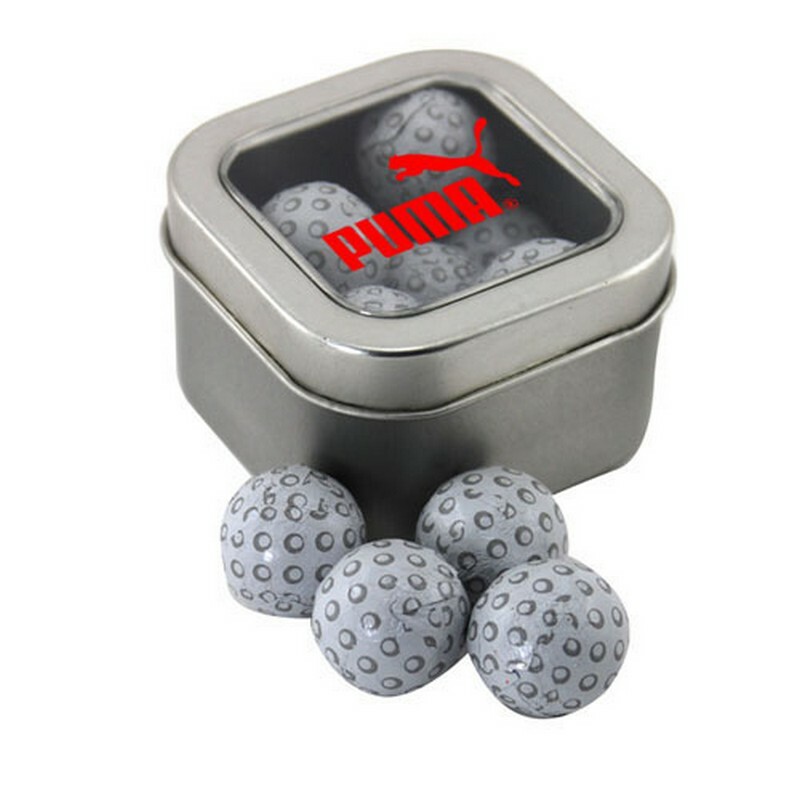 Filled with Chocolate Golf Balls. Bulk packed.